This Daybreak top is a shirt with long sleeves and loose volume. Easy to wear and suit in casual or semi-formal occasion too. You can combine it with its pants or even short pants. 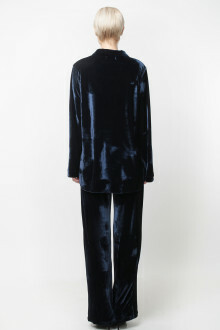 - Daybreak Top Velvet Dark Blue "Ready"
- Daybreak Top Velvet Red "Pre-Order/ PO 7 Days Work"